Shogo Ban (Jun Matsumoto) is a cocky, arrogant and fiercely driven youngster, who aspires to become a first-class chef. After enjoying success as a junior chef back home, Ban is ready to flaunt his skills when he comes to train at the prestigious Trattoria Baccanale in Tokyo, but his pride is shattered upon finding himself completely helpless in the cutting-edge kitchen. Ban is rebuked, beaten and disgraced, but to the surprise of his colleagues, he humbles himself and presses onward with an ever positive attitude. To such a headstrong, fledgling chef is given the nickname, "Bambino" which means "baby" in Italian. 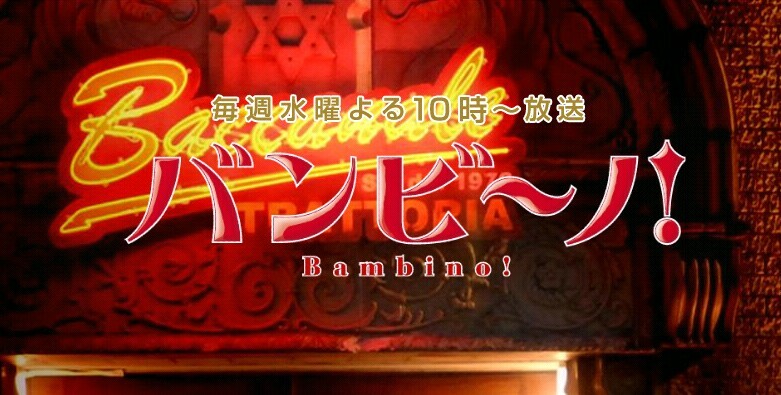 The drama "Bambino!" unfolds in the battlegrounds of an intense, fast-paced kitchen. It is a human drama that depicts the wonder of men and women living out their lives in pursuit of excellence and distinction. Yukino Shiro Apr 22 2010 9:17 am I love da drama! Jun Matsumoto look sooooooooooooooo sweeeeeet! Laura Aug 19 2009 3:24 pm Kool Ut was funny I like it alot.